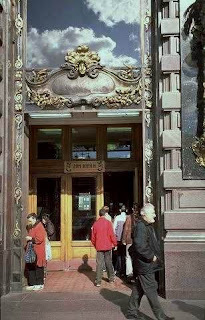 Alexander said: "Initially, the St. Petersburg art nouveau building was built by the architect Paul Syuzorom in the years 1902-1904 on Nevsky Prospekt for Russia's representation of the American firm Singer and was called the Singer's House. Since 1917 the company in Russia and its building in St-Petersburg were nationalized. The building was turned into a bookshop and renamed the House of Books. Today the House of Books is listed in the architectural art monuments to be protected by State." Dom Knigi or the House of Books in English can be found in one of the most beautiful buildings in St. Petersburg in the main street Nevsky Prospekt. Although the store's main offices were once located here, in the famous Singer's house, after its renovation (and, unfortunately, after turning the building into a mall, Dom Knigi only occupies the first floor of the building, with it's main offices being relocated just a little down in the same street - from number 28 to 62). It is good to know that Dom Knigi is satisfied with its new location as it can display even more books than before. Still, the company decided to keep the logo of the famous tower of the Singer House and the building is often called the House of Books - just so you don't get confused. The bookstore stocks a huge variety of tens of thousands of titles in many languages - Russian being the primary one, of course, but also with sections with books in English, German, French, etc. Their impressive offers of postcards, picture books of the city, calendars and handbooks, together with their large children's section, definitely deserve a mention as well. Picking up a children's book written in Cyrillic is definitely a nice present or a souvenir from your travels to the Eastern Europe. Founded in 1919, the House of Books was the first bookshop in the Soviet Russia. Today, it is the most known and the most massive bookstore in the whole city of St. Petersburg with several locations throughout the city. The staff is mostly Russian, with a few members in the foreign language sections which are always there to help you out if you seek any assistance. 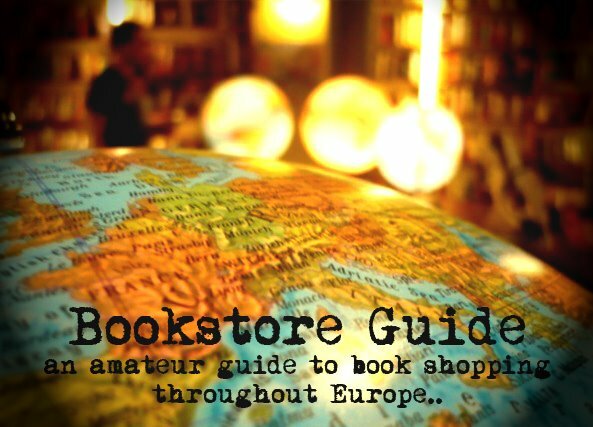 To see the complete list of Dom Knigi bookstores in St. Petersburg, click HERE. Its seem like St. Petersburg is the world of knowledge.